Mike Siaperas, CEO & Founder, Med USA “If you are the best at what you do, then you don’t have to worry about finding clients.” This is the philosophy that drives Med USA, as stated by CEO and founder, Mike Siaperas, who founded the company a staggering 38 years ago. Med USA remains a stalwart in the RCM industry as one of the few remaining wholly privately-owned companies in the U.S. 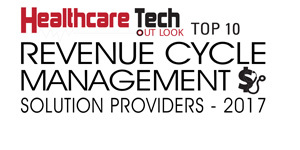 Despite several players in the market that have sought to buy it through those years, the sheer will of its founder and the relentless loyalty and support of his leadership team have helped cement Med USA’s position as the dominant purveyor of Revenue Cycle Management (RCM) solutions in the healthcare arena. Med USA’s philosophy remains simple—when you allow outside investments into your company, you allow decisions to be made based on what’s best for the investors and not what’s best for your clients. What Siaperas did was take key revenue cycle metrics that were critical in the industry and developed an interface for them to interact with Google Maps. The RCA platform displays the map of the U.S. with all his clients across the nation with their exact location and what is happening in real time. The RCA platform is able to proactively identify issues and problematic trends within seconds and trigger alerts to his team that need to be reviewed. On the RCM operations side, Med USA utilizes its proprietary Revenue Cycle assistantTM (RCa), which gives the operations staff the ability to do the same thing, as they are looking at accounts for red flags. This offers his staff the capability to be more proactive toward these issue points, in more detail, right down to the patient claim level. “Service as a Platform is a unique term for us; because of the steady use of Software as a Service, we are basing our whole company on the fact that it is the ‘service’ that’s the platform. We continue to be a service company that leverages our own technology to deliver a better experience for our clients,” elaborates Siaperas. The CEO states, “We want partnerships, not just clients.” Med USA runs an extensive analysis of everything that has happened over the last couple of years with the potential client’s revenue cycle and projects an ROI for the client ahead of time. If Med USA believes the client has a solid solution in place, it will not take them on just to add clients to their base. As Siaperas enunciates, “We want to be there to improve what they are doing,”—further substantiating their 96.3 percent client retention rate. Siaperas recalls one instance with a hospital-based physician group, where the group had one of Med USA’s competitors do billing and processing for the first six months. There were notable issues in that process, which forced the client deep into a large credit line which was imperative for them to get their practice up and running at the time. The practice initially started with 12 physicians so they weren’t particularly large, but the other RCM system almost put them out of business. The group subsequently met Med USA and soon transferred over to them after a meeting. Within four months, Med USA’s service was fully deployed and managed to get the group their credit line back. Med USA has built a solid relationship with them, and Siaperas is now a member of their senior leadership board. Together, over the last 15 years, they have evolved from 12 physicians to over 1,000 physicians across the country. Spearheaded by Siaperas’ vision, Med USA exhibits the capacity to make its decisions on the fly. “I want it to be an employee-owned company to contribute back to the dedicated staff that have been working with me for so long.” Siaperas understands that working with the same person, especially the CEO of a company, can be an exhilarating and frustrating experience and feels this contribution back to his team will make the journey worth all the years of dedication. Because they are 100 percent privately owned, Med USA has the latitude to involve key customers, the Executive Council, in decisions where their internal capital will be invested going forward. During recent meetings, clients were pleased in knowing that they had a say in where the company is going and, in foresight, Siaperas sees a company whose legacy and innovation lays the foundation for its continuing excellence.